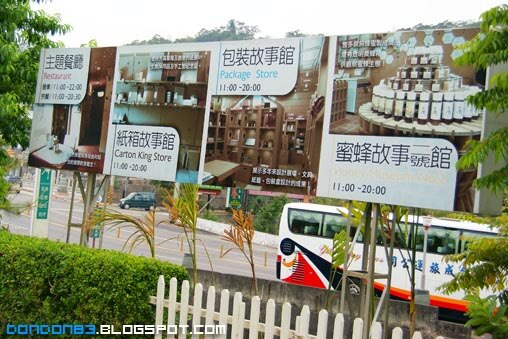 Okay, Third place of second day in taiwan, we went to a unique place.. call Carton King, okay. is not anything related to cartoon. just more to cardboard. 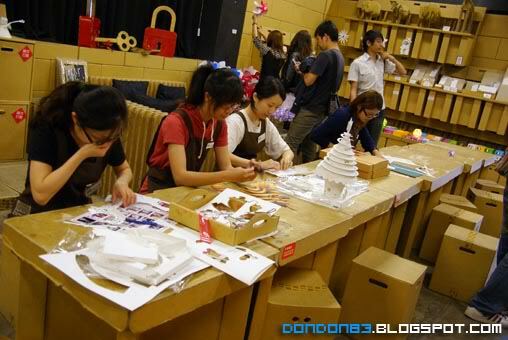 their main themes is cardboard.. if you get what i mean..
here some cardboard craft. plastic cardboard to be exact. 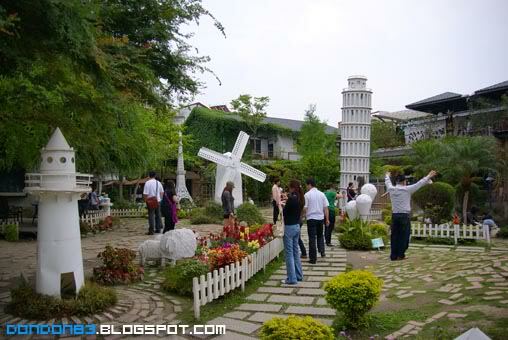 see how they convert it into nice piece of art. 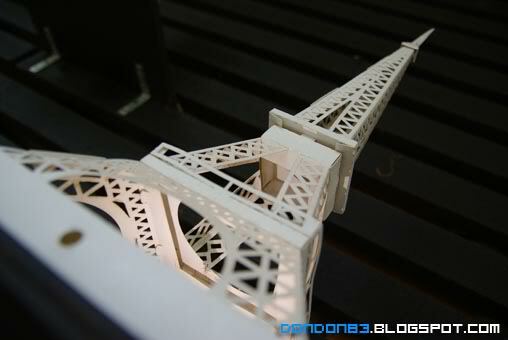 and here the Mini Paris Eiffel Tower. you can get one at the store inside later. and here's the insider of the secret garden. all landmark of the world is almost here. and in Cardboard form. how cool is that? 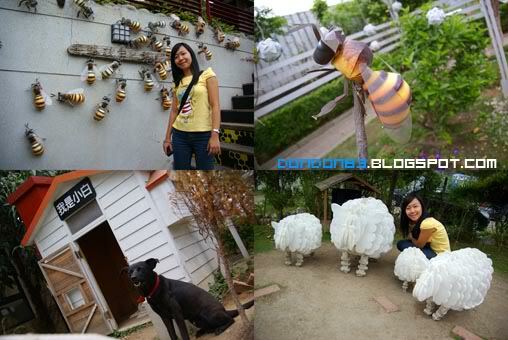 i wish i can have such garden in my house. see what i mean? Taipei 101 Tower, Dubai Burj Al Arab 7 star hotel. 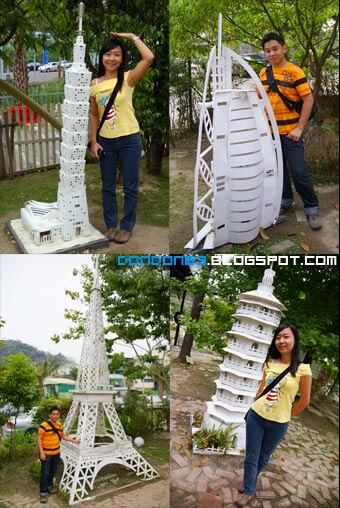 bigger version of Paris Eiffel Tower . and a China Some Pagoda Tower i perhaps? 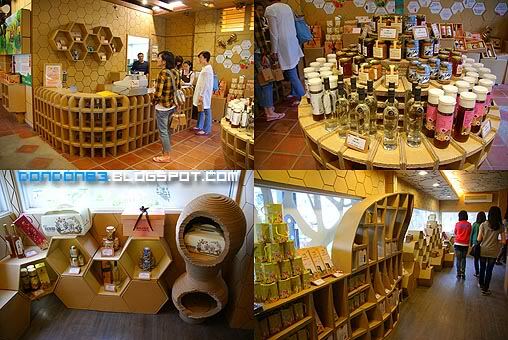 Let's go inside.. this is a bee shop.. all goods sells here. and notice the furniture look a bit unique? yes you're guesses it. 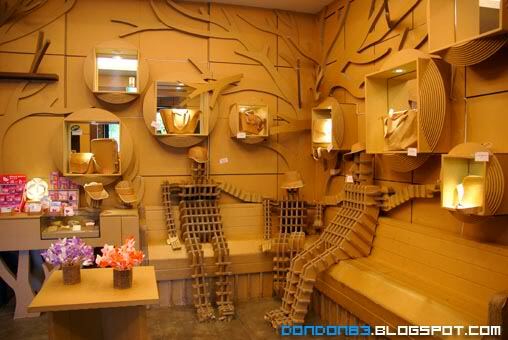 it's all made from cardboard. All the furniture. 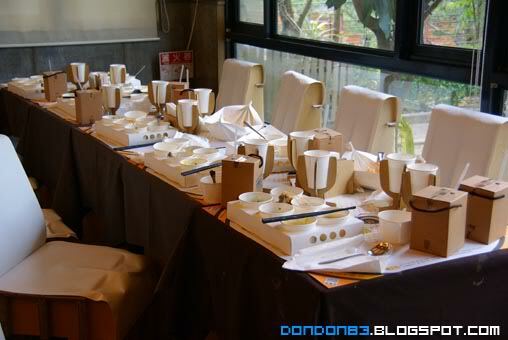 desk are made from paper form cardboard!! how cool is that?? and the design just uniques. further down.. is a restaurant! 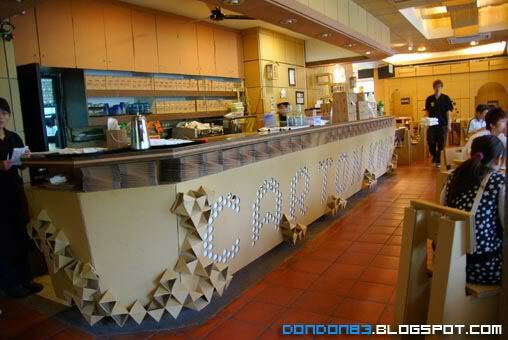 as expected everything is still made out of cardboard..
that's include.. chairs, tables, and surprisingly it managed to takes most of the customer weight.. i can't believe is made out of paper-form cardboard..
and that's include plate, cup, bowl.. again.. all just cardboard.. these really amazed me. didn't sit down and lunch here. since ann got planned lunch places. if not i really want to give a try in this restaurant. let go to next door, this time i saw more and more cardboard stuff. 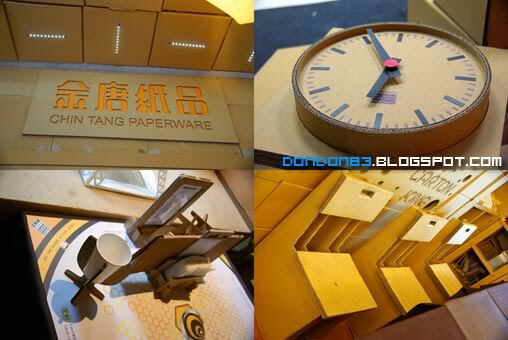 and this time is interior designs with cardboard? 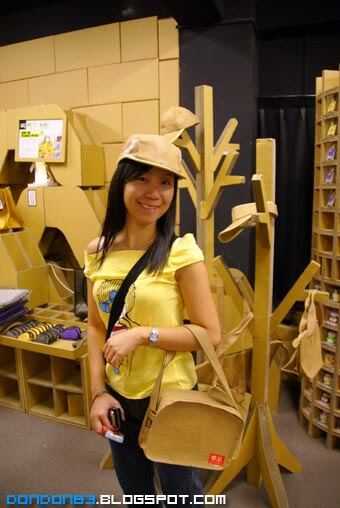 with cardboard statue some more XD. we lucky enought to see some lady workers busy Construction something out of cardboard. LIVE! 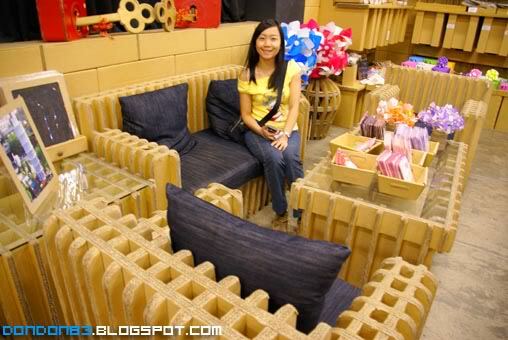 see, a Cardboard SOFA. Table, photoframe, gosh!! they can just create EVERYTHING out of cardboard. 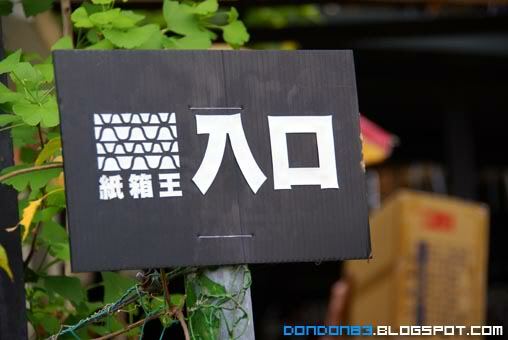 wonder will they build a house with cardboard someday.. 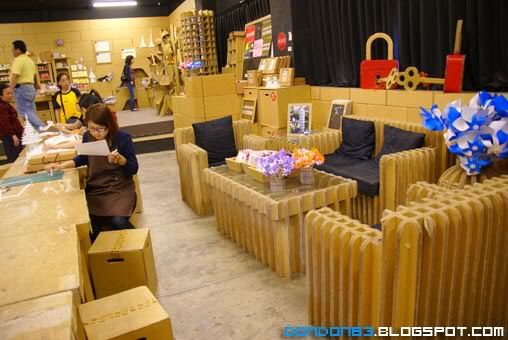 The cardboard Sofa from different view. 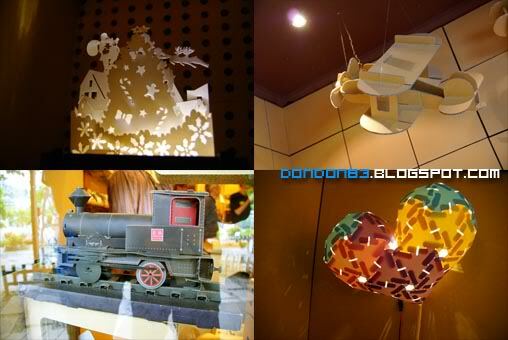 Now let see some cardboard decoration stuff that able to bring home. creative 3D card? old plane on the ceiling? paper train? or puzzle heart lamp? there is more! cardboard CLOCK! and cardboard wine glass? 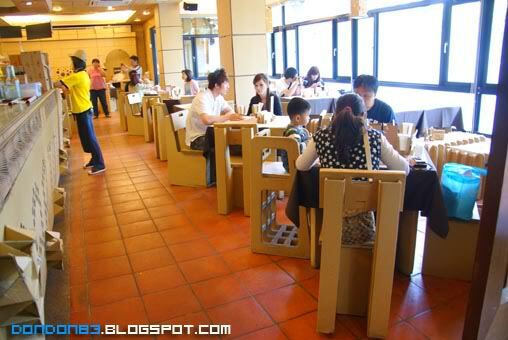 Cardboard menu, or you want to bring back a cardboard Chair? 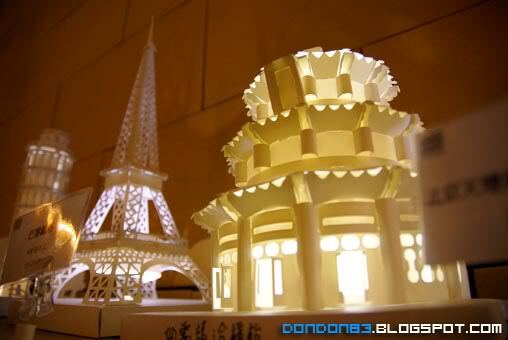 beside that, there is a beautiful plastic cardboard lamp too, of course... lot's of landmark skyscraper, neh.. like those tower we saw outside just now. Okay.. that's all for CARTON KING visit. 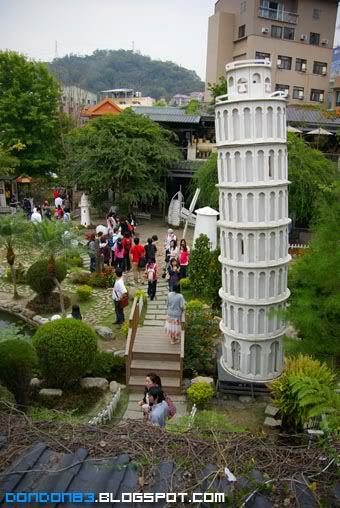 will proceed to the next place in taiwan. if you want to know more about Carton King, check out their official website. 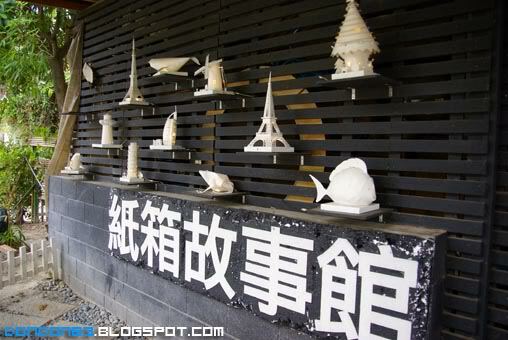 May I know how to get to this place from Taichung railway station? sorry.. can't help you, we rent a van to get up there. this in near to 合欢山. We’re working on a piece here at The Daily Meal on the world’s quirkiest restaurants. Carton King is being featured in the story! I was hoping we could use one of your photos for the piece. Please let me know as soon as possible. You can email me at jbruce@thedailymeal.com. Thanks so much! Jbruce, sorry for the very late reply... sure you can use my photo if you still need it.